We are pleased to announce our pick for the first annual Story of the Year – that one narrative—or story–from the last 12 months that we believe has most significantly affected American public dialogue and policy. There was plenty of competition: the botched rollout of Obamacare, the federal shutdown, the continuing impasse on immigration reform, the agreements on Syrian chemical weapons and Iran’s nuclear program, even the election of Pope Francis. All of these stories held our attention. But for story of the year, 2013, we have chosen disclosure of the National Security Agency’s massive digital spying operation. The story broke in June, when newspapers in the United States and England began publishing stories based on up to 200,000 documents stolen from the national security agency by Edward Snowden, a former contractor to the agency. The first reports described NSA collection of phone call data from U.S. customers of Verizon. As more documents were published, it was clear that the NSA was monitoring email and other information, some obtained from Aol, Apple, Facebook, Google, Microsoft and Yahoo. The revelations led to denials, confirmations, congressional hearings, proposed legislation, international backlash – and growing public unease that contemporary America had taken on an Orwellian mask. For their part, the president, the NSA and others defended the surveillance programs as authorized by congress, reviewed by the courts, and deemed necessary by the commander-in-chief for security in the post-9/11 world. As 2013 draws to a close, the story is still unfolding and the debate is really just beginning. Americans are questioning their government – and pondering anew the meaning of privacy in the digital age. America’s allies are asking questions, too. 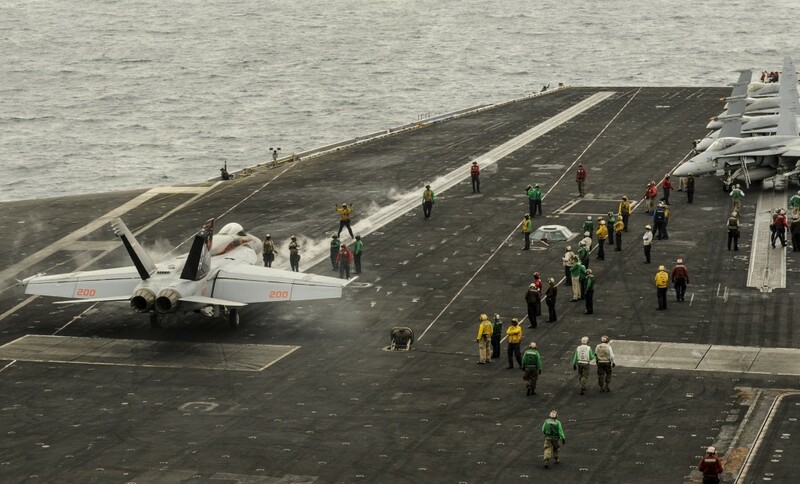 And you can be sure that America’s adversaries are changing the way they operate as well. This is a vital story that will be with us for years—and one that we believe is worthy of our pick as the Pell Center’s 2013 story of the year. We encourage you to visit www.publicstory.org, where you can join the discussion about government spying and where you can learn more about story in the public square, a program open to all. And please visit our Facebook page, www.facebook.com/StoryInThePublicSquare — and follows us on Twitter: @pubstory. NEWPORT, R.I. — In an expansion aimed at enhancing the study, celebration and practice of public storytelling, the Pell Center at Salve Regina University today named two dozen people to a newly created, at-large “Story Board” that will advise the Pell Center’s leadership on the development of its Story in the Public Square (SIPS) initiative. Story Board members will advise the program’s directors, judge contests, and mentor students. Members will be encouraged to contribute their own writings, still and moving images, and other expressions to www.publicstory.org and other SIPS forums. They will offer ideas on improving and expanding Story in the Public Square. The Story Board includes members from a broad sweep of storytelling media: filmmaking, animation, television, still photography, radio, education, history and journalism. Every Rhode Island college has representation on the Story Board. Agnieszka Woznicka, animation artist and associate professor, Rhode Island School of Design. Members endorse the core concept of Story in the Public Square, namely: To study, celebrate and cultivate the use of storytelling in public affairs. 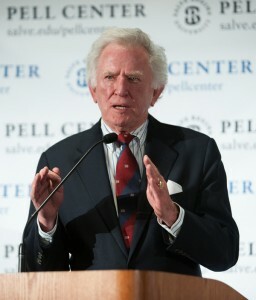 Established in 2012, Story in the Public Square staged its first Story Day in April 2013, when it welcomed former Senator Gary Hart as keynote speaker and presented the first Pell Center Prize for Story in the Public Square to two-time Pulizer Prize winner Dana Priest, of The Washington Post. The Pell Center will host the second Story Day this spring at Salve Regina University. SIPS defines “story” as the use of word, image and/or sound, in any medium (print, web, film, video, novel, art, etc. ), to narrate an experience, typically with an emphasis on emotion, character and insight. Public storytelling is story made widely available, with the potential to influence individual opinion and community, national and international policy, either swiftly or over time. Story stands in contrast to exposition, the straightforward (and often important) conveying of information, such as the standard “hard news” piece that is a journalistic mainstay. Story in the Public Square’s objectives are incorporated under this motto: Experience. Share. Act. The program is a joint initiative of the Pell Center and The Providence Journal, with major grant support from the Rhode Island Council on the Humanities. Members of the programs Board of Governors serve as ex-officio members of the Story Board. Visit the SIPS site at www.publicstory.org, follow the program on Twitter @pubstory, and visit on Facebook www.facebook.com/StoryInThePublicSquare. Newport, RI: Twenty public leaders from across Rhode Island gathered October 18-19, 2013, at Salve Regina University’s Pell Center for the first segment of Leadership Matters, a professional development program for municipal and social-sector leaders. The first cohort on campus last week included municipal teams from Newport, Middletown and Pawtucket. RI legislators from both the house and the senate, and academic leaders from Salve Regina University. Each team consists of a “steward” and three additional team members. Leadership Matters is a multi-phased program. In the first phase participants attend eight classroom training days over five months, scheduled on Fridays and Saturdays. The courses cover facilitative leadership practices; system thinking; negotiation; and aligning means and ends for optimal performance outcomes. Finally, according to Ludes, the Pell Center will host a lessons learned conference in the early autumn of 2014. The purpose of this final phase is to bring communities together again to brief each other on their innovation projects, where they succeeded and where—if appropriate—they came up short. On August 21, 2013, chemical weapons were used to attack civilians in the suburbs of Damascus, Syria. It was not the first time chemical weapons had been used in the Syrian civil war, but for the administration of President Barack Obama, their use was the crossing of the “red-line” the President had warned would provoke an armed American response. Failing to win support in the United Nations or from America’s closest ally, the United Kingdom, President Obama last week announced he would seek Congressional authorization for the use of force in Syria. With Congressional hearings underway, and a vote expected next week in Congress, join us at the Pell Center to discuss the strategy, the policy, and the politics of what may become America’s fourth war in the last decade. Timothy D. Hoyt is Professor of Strategy and Policy and the John Nicholas Brown Chair of Counterterrorism Studies at the U.S. Naval War College in Newport, Rhode Island, where he has taught for ten years,. Dr. Hoyt earned his undergraduate degrees from Swarthmore College and his Ph.D. in International Relations and Strategic Studies from The Johns Hopkins University’s Paul H. Nitze School of Advanced International Studies in 1997. Before joining the Naval War College, he taught at Georgetown University’s School of Foreign Service. Dr. Hoyt is the author of Military Industries and Regional Defense Policy: India, Iraq and Israel, and over 40 articles and chapters on international security and military affairs. Recent publications include chapters and articles on the war on terrorism in South Asia, the limits of military force in the global war on terrorism, the impact of culture on military doctrine and strategy, military innovation and warfare in the developing world, U.S.–Pakistan relations, the impact of nuclear weapons on recent crises in South Asia, and the strategic effectiveness of terrorism. Dr. Hoyt served previously as Co-Chairman of the Indian Ocean Regional Studies Group at the Naval War College. He is currently working on a multi-volume study of the strategy of the Irish Republican Army from 1913-2005, a series of projects examining U.S. relations with India and Pakistan, and analyses of irregular warfare and terrorism in South Asia. Newport, RI—The Pell Center at Salve Regina University today announced the appointment of two new fellows. Joining a growing group of scholars and policy innovators are Dr. Robert Hackey and Ms. Carolyn Deady. Deady will develop a project on global challenges—examining seemingly insurmountable U.S. domestic policy issues like healthcare, immigration, an aging population, and the affordability of higher education from an international perspective. “Carolyn’s project is exciting,” said Ludes, “because she gets to turn the lens on American politics and look at the way other countries have dealt with—and in some cases solved—challenges that have proven so difficult in the American experience.” Initial studies are expected to be completed this autumn. Robert B. Hackey is professor of Health Policy and Management at Providence College. He is the author of Cries of Crisis: Rethinking the Health Care Debate published in 2012 by the University of Nevada Press. His previous books include The New Politics of State Health Policy (University Press of Kansas, 2001) and Rethinking Health Care Policy: The New Politics of State Regulation (Georgetown University Press, 1997), co-edited with David Rochefort. His articles on health care reform, hospital regulation, and certificate-of-need laws have appeared in the Journal of Economic Issues, the Journal of Health Politics, Policy and Law, the Journal of Trauma, and Medical Care Review, among others. In 2008, he was recognized as Professor of the Year for the State of Rhode Island by the Carnegie/CASE U.S. Professors of the Year Program. Carolyn Deady is a freelance journalist and former international producer at C-SPAN (Cable-Satellite Public Affairs Network) in Washington, DC. While at C-SPAN, she was the liaison with world legislatures, obtaining coverage of parliamentary proceedings for broadcast. She also worked with television networks worldwide in getting foreign newscasts to offer the C-SPAN audience an international perspective on events affecting the United States. Ms. Deady also covered multiple parliamentary and presidential races in the field, including the British House of Commons and the Mexican Presidential race of 2000. She also field produced programming of U.S. Congressional and presidential elections. Ms. Deady is also an adjunct fellow at the American Security Project, a non-profit, non-partisan public policy and research organization based in Washington, DC. Newport, R.I. – America’s military graduate programs are struggling to integrate cyber education within their curricula and to reorient their academic objectives and outcomes to prepare senior military officers to lead in the cyber age. 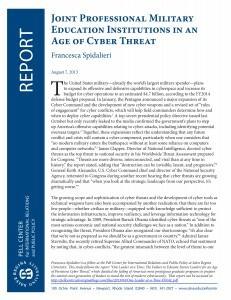 In a new study, “Joint Professional Military Education Institutions in an Age of Cyber Threat,” Pell Center Fellow Francesca Spidalieri surveys efforts by senior military institutions in the United States to educate their graduates—and ultimately the nation—for the strategic and operational challenges of our time. This study follows the report “One Leader at a Time: The Failure to Educate Future Leaders for an Age of Persistent Cyber Threat,” which detailed the failing of America’s most prestigious civilian graduate programs to prepare graduates to lead in an era of persistent cyber threat. In this report, Spidalieri surveyed the six military graduate programs that offer joint professional military education and that traditionally develop strategic and operational leaders for the U.S. military. The results provide an overview of current efforts by these institutions to include information technology and cyber security into their curricula. To date, most of the programs reviewed for this study have neither fully integrated cyber into their existing core curricula nor aligned their programs with the strategic goals of the nation’s cyber defense strategy. Advanced militaries around the world are embedding cyber capabilities in their existing force structures and military planners are incorporating cyber-attack into their doctrines and plans. The United States—which already has one of the most powerful offensive cyber capabilities in the world—is developing rules of engagement regarding cyber-attacks and is seeking to bolster its arsenal of cyber weapons. U.S. government officials and senior military officers regularly decry cyber threats as the top threat to national security, recognizing that a well-executed cyber-attack could not only seriously damage our economy but also jeopardize the execution of entire military missions. The report—drafted after four months of extensive research and interviews—illustrates the current state of affairs of senior military graduate program to further the assimilation of cyber into the operational arena for each physical domain. The fundamental question was whether these programs included courses, occasional conferences, war gaming exercises or other forms of training for their officers to be exposed to cybersecurity issues and gain the knowledge necessary to integrate cyber capabilities and information activities with other U.S. government actions. The report finds that much remains to be done. Although the report praises the increased effort by military graduate programs to develop new content for cyber education—especially in comparison to the much slower or nonexistent progress in American civilian universities—a preparation gap still persists. In brief, there remains a significant imbalance between the evident need to educate all military leaders about the complexities of cyberspace and the marginal role that cyber education still plays in some of the JPME institutions evaluated. The different level of exposure to cyber education and training seems more striking when comparing some of these graduate programs that should, at least in theory, offer similar joint professional military education curricula. Newport, RI—The Pell Center for International Relations and Public Policy at Salve Regina University today announced the addition of five new fellows to its growing cohort of scholars and practitioners. With distinguished careers in journalism and the academy, the group is the second to join the Pell Center since the creation of its fellows program last autumn. After having been educated in New England and New York schools, Bob Whitcomb embarked on a 43-year career in writing and editing, mostly as a journalist. Beginning as a writer at the Boston Herald Traveler after college, he worked subsequently at the Wilmington (Del.) News Journal and was an editor at The Wall Street Journal where, among other things, he occasionally wrote the World-Wide column. Whitcomb later became the financial editor of the International Herald Tribune, based in Paris. He has been editorial-page editor at The Providence Journal since 1992, and also vice president since 1997. There he also helped plan annual public-affairs conferences with Brown University. Along the way Whitcomb has written and reported for such national magazines as Newsweek and The Weekly Standard, been the editor of several books and international newsletters and co-written a book called Cape Wind. Whitcomb has co-hosted a weekly public-affairs show on television and is a frequent guest on National Public Radio. Dr. Emily Colbert Cairns was born in New York and did her graduate work in Spanish literature in California. Her research explores crypto-Jews and conversos in the Early Modern period and the larger Sephardic Diaspora. She studies how women through material practice preserve culture and religious tradition. Robin L. Hoffmann, J.D. is a Professor of Administration of Justice and the Chair of the Administration of Justice Department at Salve Regina University. Professor Hoffmann’s focus has been in the field of juvenile justice and family violence. She served as Vice Chair and Chair of the Rhode Island Juvenile Justice Advisory Committee and as a member of the Governor’s Justice Commission. She has been a member of the RI Attorney General’s Domestic Violence Task Force, chairing its Juvenile Subcommittee, and has worked with the RI Family Court Truancy Court in planning conferences at Salve Regina University. Professor Hoffmann is a graduate of New York University and Rutgers University School of Law and is a member of the NY Bar. She is the Pre-Law Advisor for Salve Regina University. Dr. Jon Bernard Marcoux is an archaeologist who specializes in cultural and historic preservation and the study of late prehistoric and early historic Native American Indian societies. He has over 15 years of professional experience serving as a preservation consultant for private firms and government agencies across the southeastern U.S. As a teacher and researcher, he explores the role of public policy in balancing the benefits of economic development with the need to protect our cultural heritage locally and nationally. Areas of Expertise: Art in the Public Sphere. Art as a Vehicle for Reinterpreting Space and Reevaluating the Environment. Susannah Strong received an undergraduate degree in painting from the Rhode Island School of Design and a master’s degree in visual arts/textiles from Goldsmiths College, University of London. Her work has been exhibited in museums and galleries throughout the United States and England, and is included in the private collections of playwright Edward Albee as well as the late Sol Lewitt and curator Walter Hopps. Strong is a three-time recipient of Individual Fellowships from the Rhode Island State Council on the Arts: twice in Three Dimensional Art and once in New Genres. She has been nominated for both a Louis Comfort Tiffany Award and the Saint-Gauden’s Memorial Fellowship. In addition to her studio practice and teaching, Strong worked in the field of historic preservation for over eight years. She has helped to conserve many of the historic mansion museums that surround the Salve campus. With these additions, the Pell Center now has 20 fellows who specialize in a diverse range of fields, from cybersecurity and healthcare to national security, international relations, and human rights. Senator Gary Hart speaks at the inaugural Story in the Public Square, April 12, 2013. NEWPORT — One-time presidential candidate Gary Hart spoke in Newport on Friday as part of a daylong conference on storytelling hosted by Salve Regina University in partnership with The Providence Journal. 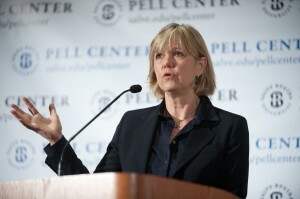 Hart was the keynote speaker at the inaugural Story in the Public Square conference hosted by the Pell Center for International Relations. He served in the U.S. Senate with Clairborne Pell, the Newport Democrat for whom the center is named. Hart, of Colorado, twice was an unsuccessful candidate for the Democratic presidential nomination. . . .
For complete coverage, please click this link. NEWPORT, R.I. — Pulitzer Prize-winning author and journalist Dana Priest was honored on Friday, April 12, 2013, with the inaugural Pell Center Prize for Story in the Public Square, an award recognizing a contemporary storyteller whose work has had a positive impact on public affairs. Priest, a Washington Post staff writer, received the award during the maiden Story in the Public Square conference at Salve Regina University that also featured a keynote address by Gary Hart, former U.S. senator from Colorado and now an author and Huffington Post blogger. Winners of a student story contest were also announced at the Friday conference. “Dana Priest’s reporting has changed public policy. Look no further than the stories for which she won her two Pulitzer Prizes: the CIA’s secret prisons and deplorable conditions at Walter Reed Army Medical Center,” said Jim Ludes, Executive Director of the Pell Center. Friday’s day-long conference included a panel on ethical storytelling moderated by Karen Bordeleau, acting executive editor of The Providence Journal, and a panel moderated by Salve Regina University professor Donna Harrington-Lueker. The Journal’s award-winning documentary, “Coming Home,” about veterans of the wars in Iraq and Afghanistan, was shown. Sophie Zander, a student at Ursinus College in suburban Philadelphia, took first prize in the inaugural SIPS student contest for her story, “A Boy.” Honorable mentions went to Community College of Rhode Island’s Madelin Schlenz’s “I Brought My Brother Home” and Central Connecticut State University’s Ron Farina’s “Unbreakable Embrace.” The winners were chosen from a strong field of submissions challenged to write about the veteran’s experience. Friday’s day-long conference was the official launch of the year-round Story in the Public Square program, which will include a fall event, a vigorous ongoing online conversation, storytelling resources and connections, and other activities related to the intersection of public policy and story in its many forms: writing, film, art, song and more. Story in the Public Square is a partnership between the Pell Center and The Providence Journal. Friday’s conference, which was expected to attract an audience of nearly 200, was made possible, in part, with a major grant award from the Rhode Island Council on the Humanities and the support of the David and Mildred Morse Charitable Trust. On Monday, April 8, 2013, Pell Center Executive Director Jim Ludes and Visiting Fellow G. Wayne Miller appeared on WPRI’s “The Rhode Show” to discuss Story in the Public Square. For more information about the event or to register please click here.